Sri Lanka should not miss the opportunity to implement the long-delayed fuel pricing formula since oil prices have softened, said Economist Murtaza Jafferjee from J. B. Securities. 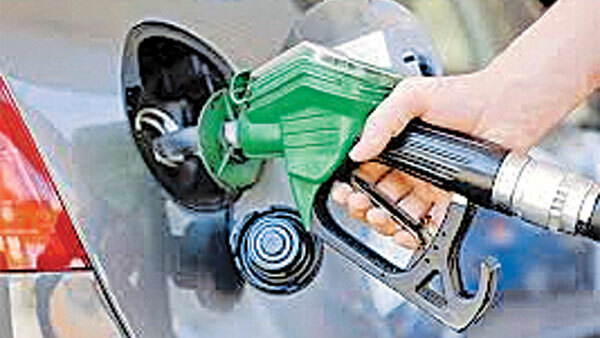 “Petrol is in underpriced in Sri Lanka, and there remains a case to further increase prices to fully reflect all externalities especially congestion and traffic accidents. Further, with more fuel-efficient vehicles due to hybrids and small engines the tax intensity per unit of road mileage has gone down over the years,” Jafferjee said. Diesel which is significantly underpriced, enjoys a post-tax subsidy and there are no corrective taxes applied although consumption is more than 50% of Petrol. “Although international oil prices were down by 50% in 2016 in comparison to 2014 the trade deficit increased from USD 8.26 billion to USD 9.09 billion (+10%) due to high imports. Over the last one month Brent crude has dropped by 16.5% (however, it had rallied in May), Gasoline (Petrol) is down by 8.33% and Gas Oil (Diesel) is down by 10% - there is always a lag between crude and distillates due to inventory that refineries carry. “There is also a strong case to gradually introduce corrective taxes to both petrol and diesel to account for externalities; this can be done with increments of Rs 0.5 a litre per month so that the consumer will not feel the pinch, ”he said. On a per liter basis Petrol retails at Rs 117, the taxes are approximately Rs 56.50, one month ago based on spot Gasoline prices the loss was Rs 12.50, it has now reduced to Rs 8. Sri Lanka consumes around 130 million liters a month, even at reduced world market prices the loss to the industry due to under recovery of taxes is Rs 1.04 billion a month, if the current trend holds it works out to Rs 12.48 billion a year. On a per liter basis Diesel retails at Rs 95, the taxes are approximately Rs 29.50, one month ago based on spot gas oil prices the loss was Rs 6.70, it has now reduced to Rs 0.45. The country consumes around 200 million liters a month, at the current reduced world market prices the loss to the industry due to under recovery of taxes is Rs 90 million a month, it was Rs 1.34 billion a month ago. At the refinery level Diesel is normally a few percentage points more expensive than Petrol. Due to lower taxes and under the current administered price Diesel is at 23% discount to Petrol. Most items accrue a duty of 30%, NBT of 2%, PAL of 7.5% and VAT of 15% thus the taxes on a finished good import is 62.5%, the tax on Diesel at current spot prices is 51.3% and on Petrol it is 97.6%. Petroleum products are imported, if they are not priced appropriately demand will be more than what it should be, for example in 2016 Petrol volumes grew 19% and Diesel volumes grew 16% whilst real total consumption grew only 0.73%. Underpricing leads to excess consumption creating massive traffic jams on the roads, pressures the balance of payment and results in exporting the country’s meager wealth to oil exporting countries. Compared to Sri Lanka Petrol in Chennai (India does not have uniformnational prices) and Bangladesh is 36% and 39% more expensive respectively but 9% cheaper in Pakistan. In the case of Diesel, it is 42%, 25% and 30% more expensive in Chennai, Pakistan and Bangladesh respectively. “We price diesel at a 18.8% discount to Petrol but it is at a 15% discount in Chennai, at premium of 11.3% in Pakistan and at a discount of 24.4% in Bangladesh,” he said. Sri Lanka’s GDP per capital (2015 World Bank figures) at USD 3,926 is more than double that of India (USD 1,593), Pakistan (USD 1,435) and Bangladesh (USD 1,211). Yes, but for decades it was heavily overpriced to subsidise the loss-making CPC....! The petrol price must be floated and allowed to adjust according to the market fluctuations. It is fixed here in Sri Lanka. When the price was rock bottom we paid more than the world market price for years. Now it is higher and we pay low. That anomaly can be fixed if it is floated. Secondly the Petroleum minister of the former time made a mistake by going into a hedging about the price at over 100 dollars a barrel and within a year it dropped to 30.USD and the Sri Lankans has to make loss of millions of dollars to get out of it.The then government still kept on charging the higher price from us! All that can be avoided if the price is floated.